The word “tsunami” comprises the Japanese words “tsu” (meaning harbour) and “nami” (meaning wave). A tsunami is a series of enormous waves created by an underwater disturbance usually associated with earthquakes occurring below or near the ocean. Volcanic eruptions, submarine landslides, and coastal rock falls can also generate a tsunami, as can a large asteroid impacting the ocean. They originate from a vertical movement of the sea floor with the consequent displacement of a water mass. In deep ocean, waves travel at a speed of about 800 km/h and are only a few tens of centimetres high. In the ocean normally waves are generated by wind and can be described through their amplitude, which is the height of the wave, and wavelength which is the distance from one wave crest to the other. 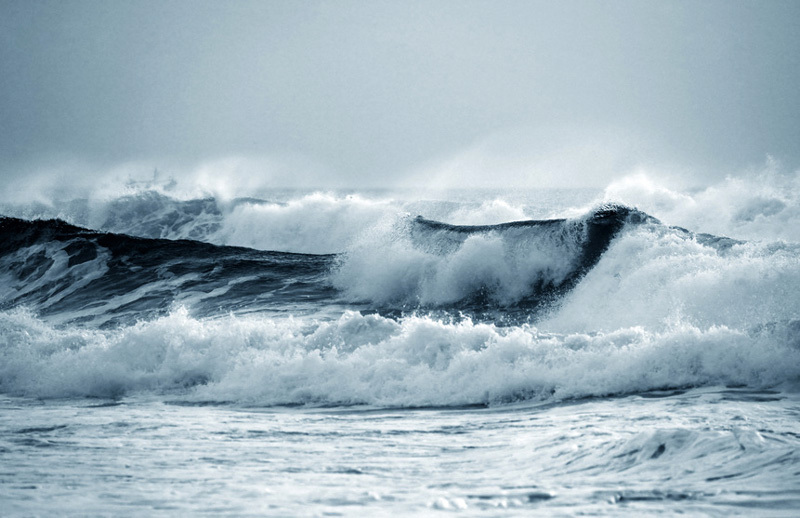 The wavelength is a factor which distinguishes tsunamis from wind waves: a tsunami wavelength is considerably longer than a wind wave wavelength; it can be more than 200 km long. The wavelength is closely-linked to the sea depth. As the sea depth decreases, the wavelength decreases. At the same time, the height of the wave increases. Near the shore line the wave can assume the shape of a wall, up to tens of metres high, with a massive destructive power. The speed of a tsunami wave can be simply expressed by the formula v= where g is the acceleration of gravity (9,8 m/s2), and h is the depth of the sea expressed in metres. From the area where the tsunami originates, waves travel outward in all directions. Once the wave approaches the shore it builds the height. The size of the wave is as well influenced by the topography of the coastline. There may be more than one wave and the succeeding one may be larger that the one before. That is why a small tsunami at one beach can be a giant wave few kilometres away. Earthquake-induced movement of the ocean floor most often generates tsunamis. If a major earthquake or landslide occurs close to shore, the first wave in a series could reach the beach in few minutes, even before a warning is issued. Areas are at greater risk if they are less than 7 meters above sea level, and within less than 2 km of the shoreline. Most deaths caused by tsunamis are because of drowning. Associated risks include flooding, contamination of drinking water, fires from ruptured tanks or gas lines, damages to key infrastructures. Different kinds of events can produce a tsunami. 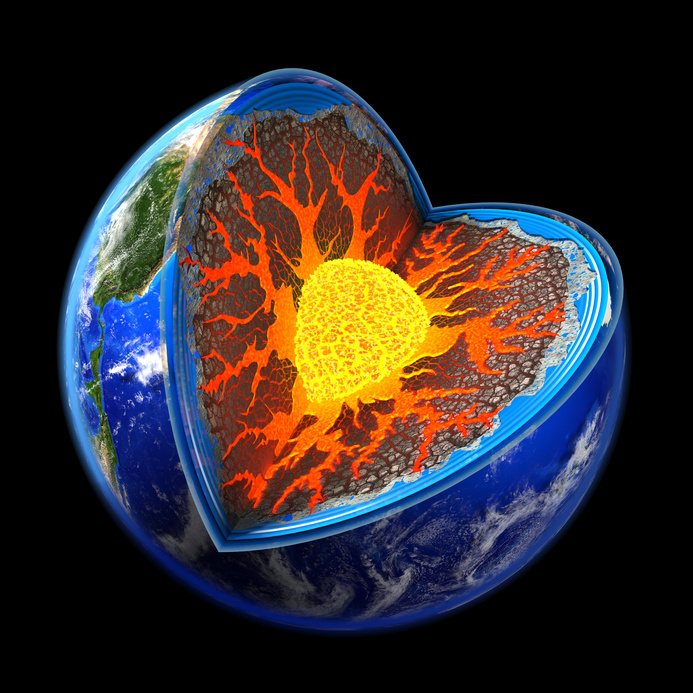 The least probable, but still possible, cause is the impact of an asteroid or a meteorite in the sea, while the more frequent causes are underwater disturbances: a volcanic collapse, a landslide or an earthquake. Not all earthquakes generate tsunamis. To generate a tsunami, the fault where the earthquake occurs must be underneath or near the ocean, and cause vertical movement of the seafloor (up to several meters) over a large area (up to a hundred thousand square meters). Shallow focus earthquakes (depth less 70 km) along subduction zones are responsible of the most destructive tsunamis. 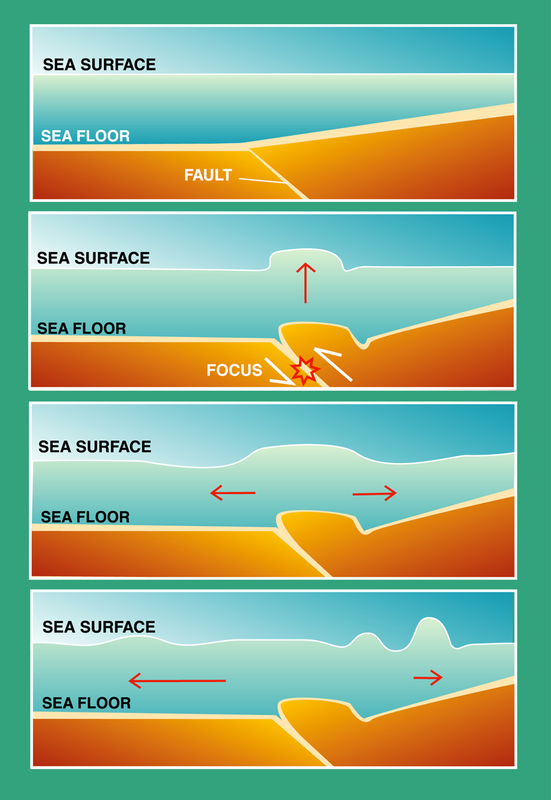 The amount of vertical and horizontal motion of the seafloor and horizontal motion of the sea floor, the area over which it occurs, the simultaneous occurrence of slumping of underwater sediments due to the shaking, and the efficiency with which energy is transferred from earth’s crust to the ocean water are all part of tsunami generation mechanism. Resulting in rockfalls, icefalls, or underwater (submarine) landslides or slumps can generate displacement of water to create a tsunami. More often than thought, submarine landslides are often caused by earthquakes, large and small, therefore strengthening the force of an earthquake induced tsunami. The most notable example of a landslide-induced tsunami can be traced to Southern France in the 1980’s where the movement of a significant amount of earth for the construction of an airport triggered an underwater landslide, which resulted in destructive tsunami waves hitting the harbor of Thebes. Tsunamis caused by extraterrestrial collision (i.e. asteroids, meteors) are an extremely rare occurrence. Although no meteor/asteroid induced tsunami have been recorded in recent history, scientists realize that if these celestial bodies should strike the ocean, a large volume of water would undoubtedly be displaced to cause a tsunami. Scientists have calculated that if a moderately large asteroid, 5-6 km in diameter, should strike the middle of the large ocean basin such as the Atlantic Ocean, it would produce a tsunami that would travel all the way to the Appalachian Mountains in the upper two-thirds of the United States. 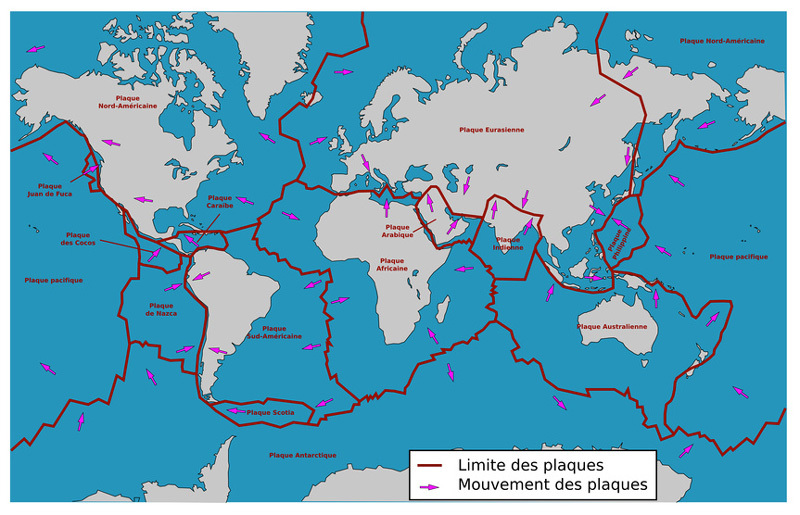 On both sides of the Atlantic, coastal cities would be washed out by such a tsunami. An asteroid 5-6 kilometers in diameter impacting between the Hawaiian Islands and the West Coast of North America, would produce a tsunami which would wash out the coastal cities on the West coasts of Canada, U.S. and Mexico and would cover most of the inhabited coastal areas of the Hawaiian islands. Although relatively infrequent, violent volcanic eruptions represent also impulsive disturbances, which can displace a great volume of water and generate extremely destructive tsunami waves in the immediate source area. Volcanic disturbances can generate waves by the sudden displacement of water caused by a volcanic explosion, by a volcano's slope failure, or more likely by a phreatomagmatic explosion and collapse and/or engulfment of the volcanic magmatic chambers. The majority of tsunamis that occur in the Pacific Ocean happen around the “Ring of Fire” Area surrounding the Hawaiian Islands. The periphery has also been dubbed the 'Ring of Fire' because of the extraordinarily high number of active volcanoes and seismic activity located in the region. Since 1819, over 40 tsunamis have struck the Hawaiian Islands. One of the largest and most destructive tsunamis ever recorded was generated in August 26, 1883 after the explosion and collapse of the volcano of Krakatoa (Krakatau), in Indonesia. This explosion generated waves that reached 135 feet, destroyed coastal towns and villages along the Sunda Strait in both the islands of Java and Sumatra, killing 36, 417 people.